Metacarpal fractures are common sporting injuries seen in boxing, football, basketball and netball. In fact, metacarpal fractures account for 10% of all fractures presenting to emergency rooms, and represents a substantial portion of upper extremity fractures. The distal phalangeals (i.e., finger tip bones) are the most commonly fractured bone in the hand, followed by the metacarpals (i.e., hand bones). There are varying degrees and types of metacarpal fractures, which often determines prognosis and treatment. Primary care usually involves an accurate diagnosis using orthopaedic examination and imaging investigation, pain control including analgesics, immobilisation and reduction of the fracture as indicated, and appropriate referral to a hand surgeon if required. Sports chiropractors provide an important conservative management role in patients with a history of metacarpal fractures. Once the fracture has healed appropriately, rehabilitation with a sports chiropractor is important to restore normal biomechanics, reduce pain and fear-avoidance, strengthen surrounding muscles, joints and ligaments, sports-specific exercises and return to play. Metacarpal fractures are fractures (i.e., breaks) of the tubular palm bones. They often occur in the small finger metacarpal bone in boxers and other athletes. This type of fracture is therefore known as a “boxer’s fracture.” Each of the digits (i.e., fingers) of the hand has a corresponding metacarpal bone, and any of these metacarpals may be fractured. Metacarpal fractures are seen more often in adults, whereas phalangeal fractures are more common in children. Approximately 20% of metacarpal and phalangeal fractures are intra-articular (i.e., within the joint). 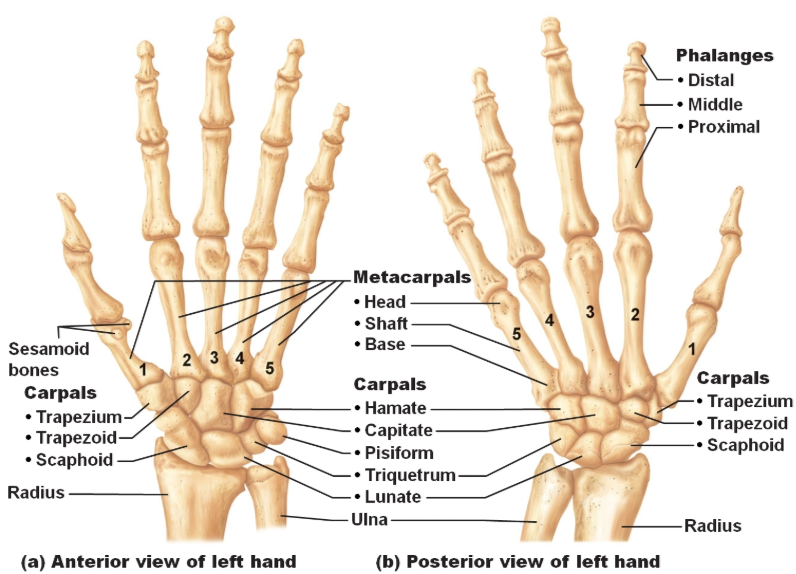 What are the types of metacarpal fractures? Fractures of the base of the first metacarpal commonly occur as a result of a punch connecting with a hard object, such as an opponent’s head, or a fall on the abducted thumb. There are two main types of fracture: (1) the extra-articular transverse fracture of the base of the first metacarpal; and, (2) a Bennett’s fracture/dislocation of the first carpo-metacarpal joint. Fractures of the second to fifth metacarpals may also occur as the result of a punch, contact with ball and ground, and direct hits from hockey, cricket, baseball etc. When seen in the fourth and fifth metacarpals, it is referred to as “boxer’s fracture”. The fracture is usually accompanied by considerate flexion (i.e., forward bending) deformity of the distal fragment, which is countered by the extra dorsiflexion available at the metacarpophalangeal joint to make up for this deformity. What are conservative management options for metacarpal fractures? Most hand fractures can be treated non-operatively, particularly those with no complications, such as a stable, closed shaft fracture of the metacarpal. Initially, and depending on the severity of the fracture, the patient may have a cast applied to immobilise the hand and wrist as to allow for the fracture to heal. The initial healing process usually takes 6 weeks and involves 4 phases of fracture healing: (1) haematoma formation, (2) fibrocartilaginous callus formation, (3) bony callus formation, and (4) bone remodelling. Following this time, the patient may replace the cast with a splint or buddy strapping (i.e., the fractured bone and adjacent ones are taped together to provide support), which provides a little more mobility than the cast. The role of the clinician is important in healing and strengthening processes. In the early phase of conservative management (i.e., following the 6 week period after which time the fracture has completely healed), the patient should be educated on controlling swelling and pain using the P.O.L.I.C.E protocol (i.e., Protect, Optimally Load, Ice, Compress and Elevation). Improving the functionality, active, passive and resistive exercises that aid in bone and cartilage recovery are primary conservative goals. Early range of motion exercises (i.e., moving the finger and hand joints through their pain-free ranges) are generally considered appropriate when there are stable fractures and can be performed 3 weeks after the injury in uninvolved or adjacent joints. Specific tendon gliding exercises should be included in the active range of motion. Tendon gliding is important to prevent tissue adhesions, improve blood circulatiion about the fracture site and decrease swelling and compression at the fracture site. Tendon glides should be performed by actively flexing the injured knuckle joints while positioning the other fingertip joints in extension, progressing to fingertip flexion and then making a closed fist. Passive range of motion (i.e., the clinician performs the range of movement to the patient’s tissue barrier) can be initiated during the repair phase, when the bony callus begins to form. Passive range of motion will also stimulate bone and cartilage healing. It can be divided into physiological motion or arthrokinematic motion. Passive motion can begin after tissue healing at approximately 5-6 weeks of therapy. At week 6 post-fracture, joint mobilisation can begin; however, the timing of beginning joint mobilisation depends on the structures involved in the injury. It is recommended that arthrokinematic motion is performed prior to mobilisation. Joint mobilisation decreases oedema and improves synovial fluid production. Full passive joint range of motion should be achieved before any functional exercises are introduced. At 6 weeks post-injury, light resistance exercises can be performed in most metacarpal fractures. Light resistive exercise helps with scar tissue remodelling and improves joint motion. There are several types of resistance exercises, such as the weight-well exercises. This kind of exercise strengthens the finger flexors. Functional activities and work simulation should be included in the resistive exercises as soon as possible. Examples of more functional exercises include, slow-heavy wrist extensor/flexor concentric and eccentric exercises with dumbbells or therabands, grip strength exercises with balls and finger opposition with band exercises. Generally speaking, metacarpal fractures heal well in the absence of complications, and nonunion is uncommon, especially in typically otherwise healthy athletes. Once a fracture is determined to be fully resolved, either inherently, or after a period of casting and conservative management, return to play may be considered. For positions that do not involve manipulation of a ball or implement, such as a football lineman, early return in a cast may be acceptable. Buddy taping of the fingers may be a helpful adjunct. 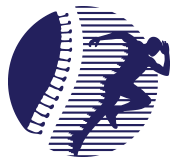 While activities involving a throwing or gripping hand may require more time before return to play, particularly when protective equipment is not compatible with demands of participation or league rules. Coaches and personal trainers will have to devise a plan of action it players make an informed decision to take the risk to play with metacarpal fractures. In any which way, return to sport should be performed slowly and progressively, and always monitored by a clinicians and sports personnel to ensure the risk of re-injury is minimised. At Sydney Spine & Sports Centre (S3C), our clinicians are highly trained to conservatively manage the biomechanical changes in metacarpal fractures. If you suspect metacarpal fracture or want a conservative approach post-fracture, come and see us at our Balmain clinic for an expert opinion. How Can Chiropractic Help After a Sports Injury? Martin is an experienced and qualified chiropractor, remedial massage therapist and has completed a Masters of Research. He has an active interest in sports conditions, over use injuries and problems related to the spine such as neck and back pain. Does Prolonged Sitting Cause Low Back Pain? If you like what you're reading, please share.